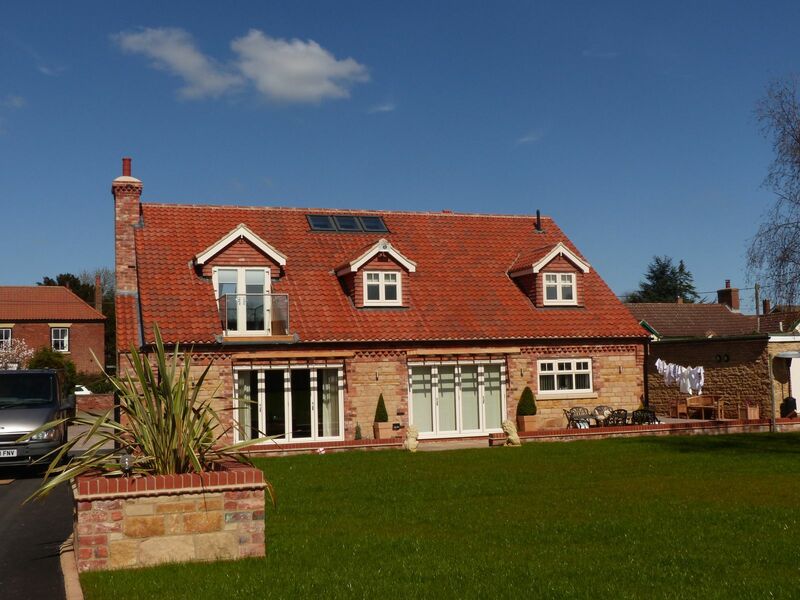 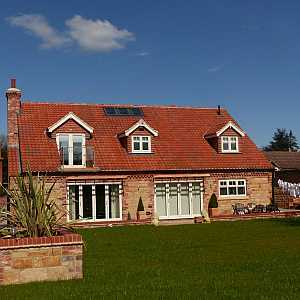 The cottage which was originally built here, in Scawby North Lincolnshire was demolished and replaced with this stunning dormer bungalow. 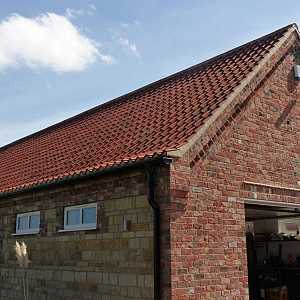 We used William Blyth Hand Made Clay Barco pan tiles & plain tiles. 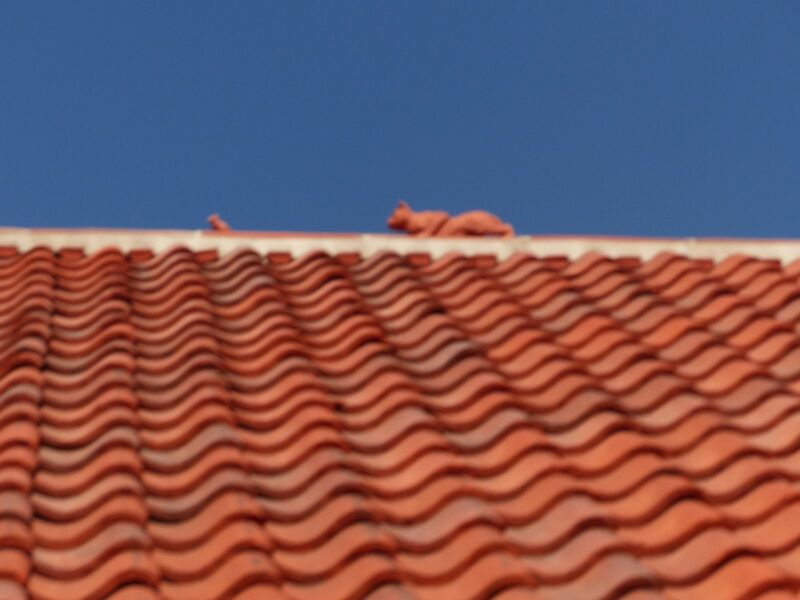 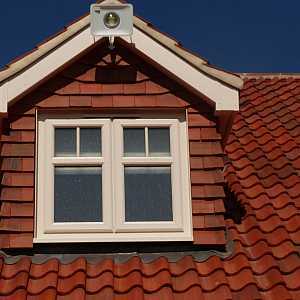 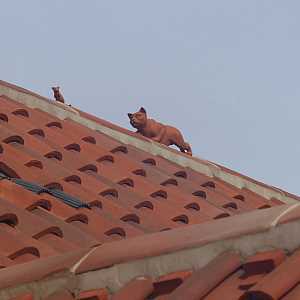 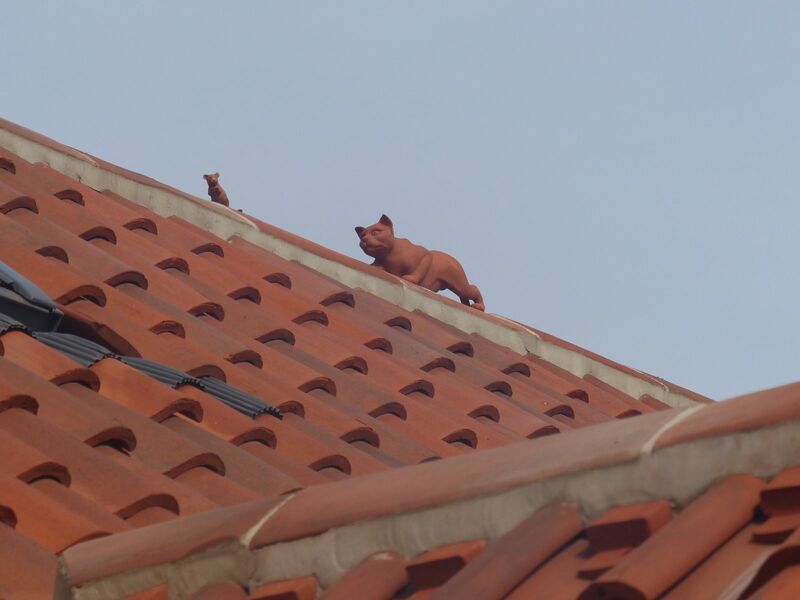 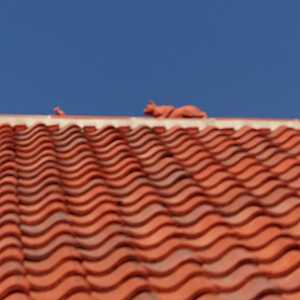 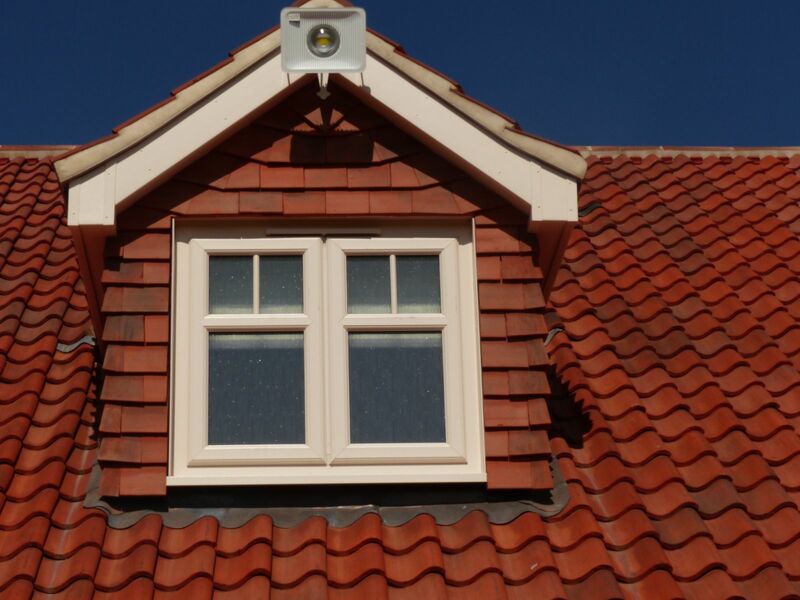 Our client commissioned for us to create an ornamental cat and mouse ridge tiles, this continued with the clients love for cats and followed a theme through out the build. 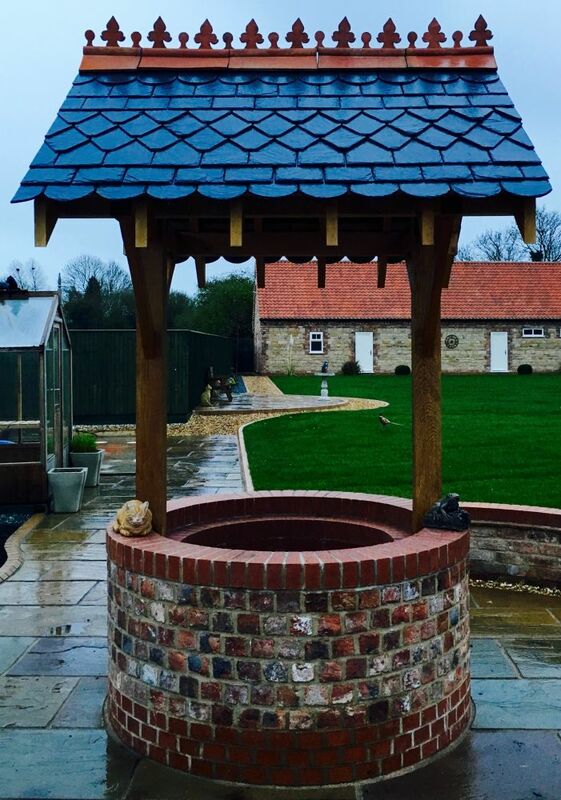 After the main roof was completed we were also given the opportunity and the free rein to get a little creative with the material of our own choice on the Wishing Well in their back garden. 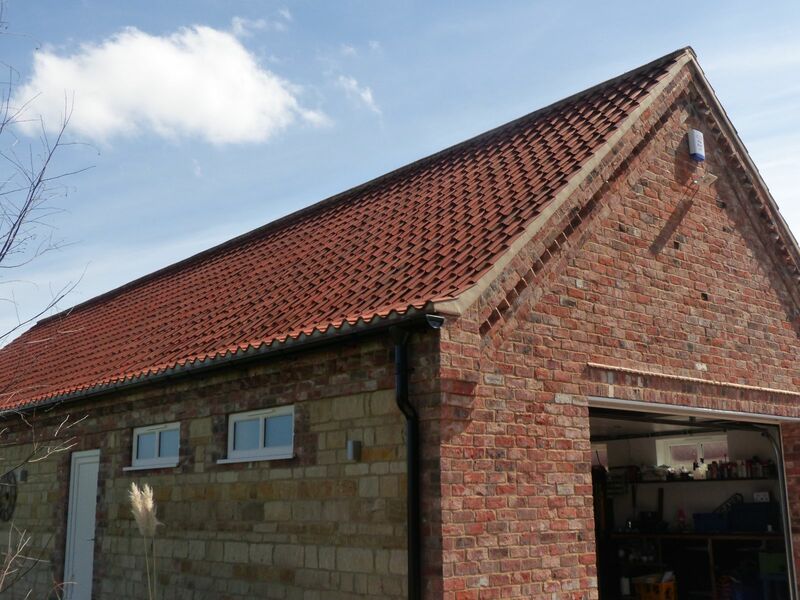 We decided use slate and created a unique pattern through out the roof.